Having always been interested in personal health and self-improvement, I realized there was a need for a simpler approach to well-being. As I researched and talked with clients, my passion grew and today I help people improve the quality of their life through nutrition and wellness. Although every nutritionist has her style, I always felt uncomfortable with strict, one-way thinking. When I work with my clients, I find joy in learning about their singular experiences and challenges. By finding each clients limiting factors and eliminating them, they are able to go through this process as gradual or aggressive as they see fit. 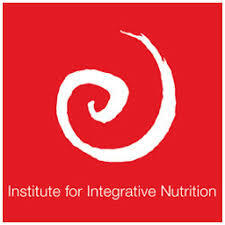 I received my education through The Institute for Integrative Nutrition, where I studied over 100 dietary theories, practical lifestyle management techniques, and innovative coaching methods with some of the world's top health and wellness experts. Through the Precision Nutrition program, I have mastered the essential science of Sport and Exercise Nutrition. This covers a variety of areas including, but not limited to, cellular biology, digestion, metabolism, micronutrients and macronutrients. This has allowed me to have a deeper understanding of nutrition and its affects on the body, and improve the nutrition habits of any client with any goal, whether they are beginner or advanced. 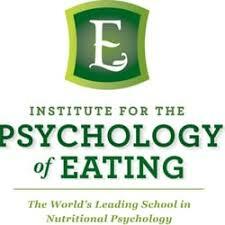 Last but not least, I trained at the Institute for the Psychology of Eating, the world's leading school in Nutritional Psychology where I received my certification as an Eating Psychology Coach. In IPE's internationally acclaimed program, I learned powerful cutting-edge tools and protocols that enable me to work with weight issues, body image challenges, overeating, binge eating, and a variety of nutrition related health concerns such as digestion, fatigue, mood, immunity, and others. 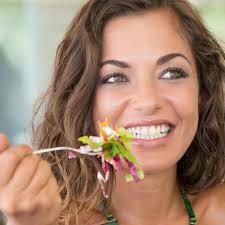 My work combines the powerful new fields of Dynamic Eating Psychology and Mind-Body Nutrition. The skills I use from this training are a combination of practical coaching techniques, results-oriented psychology, clinical nutrition, body-centered practices, mind-body science, and a positive and compassionate approach to challenges with food and health. It effectively addresses weight concerns, binge eating, overeating, body image challenges, and various nutrition related health concerns. As an Eating Psychology Coach, my approach is positive and empowering. I don't see your eating challenges merely as a sign that "something is wrong with you" - but as a place where we can more fully explore some of the personal dimensions in life that impact food, weight and health. Oftentimes, our eating challenges are connected to work, money, relationship, family, intimacy, life stress and so much more. By working on the places that are most relevant for you, success is more easily achieved. As an Eating Psychology Coach, I look to support you with coaching strategies and nutrition principles that are nourishing, doable, sustainable, and that yield results. For far too long, we've been inundated by negative messages about food, weight and diet. We've been told we're willpower weaklings or that we need more control. The majority of nutrition experts promote conflicting advice. The result is people are confused about what to eat, and how to have a happy relationship with food and a healthy metabolism. In my professional practice, I combine many of the best strategies from nutrition science and eating psychology. By eliminating all the "shoulds and shouldn'ts", I focus on what's right for your body and your personal style. As we work together in this way, eating and health issues become a place of exploration. Instead of seeing such challenges as the enemy, they become opportunities for growth and self-improvement. In my training at the Institute for the Psychology of Eating, I've learned to help clients reach their highest goals not by strategies that punish, but through strategies that nourish. 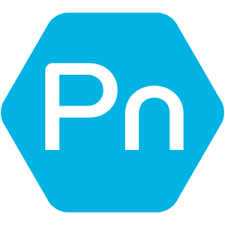 Mind-Body Nutrition is an exciting and timely new field that advances the practice of clinical nutrition by exploring the psychophysiology of how thoughts, feelings and beliefs impact nutritional metabolism and health. Originated by Marc David, Founder of The Institute for the Psychology of Eating, it goes far beyond classical nutrition by focusing on the fascinating connections between brain, body, and behavior. Simply put, what we eat is only half of the story of good nutrition. The other half is who we are as eaters. Mind-Body Nutrition reveals how stress physiology, the relaxation response, breathing, awareness, pleasure, meal timing and much more profoundly influence digestion and calorie burning. And it offers practical and results-oriented strategies for the most commonly seen eating challenges and health issues of our times.